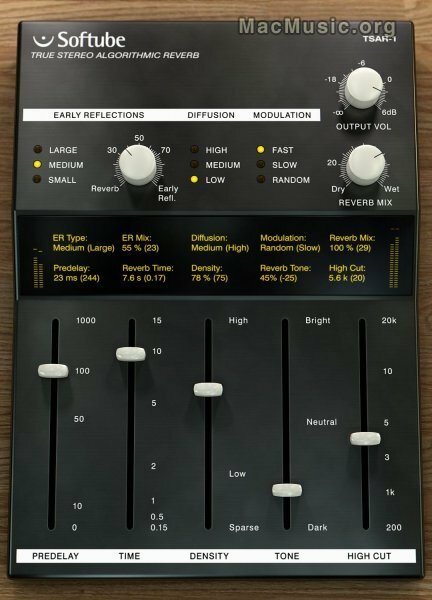 TSAR-1 Reverb for native (VST/AU/RTAS) platforms. While experimenting with different novel reverb designs Softtube realized that the biggest challenge would be to create a product that our users actually could learn how to use. And that led us to the second requirement: it need to be easy to use! We didn't want a reverb with fifty parameters, so complicated that no-one ever dares to change anything, and by that forces the user to use presets.